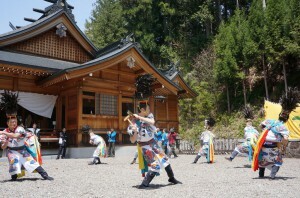 On the Hida side of the Northern Japan Alps, which lie within the Chubu Sangaku National Park, there is a mountain opening festival called “Banryu-sai (Banryu festival)” . 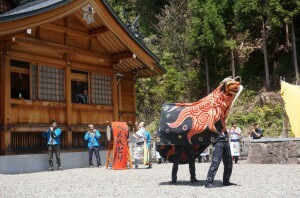 After the Shinto rituals, there are dedicatory presentations of the region’s traditional performing arts of the Torigei dance and the Henbetori lion dance. 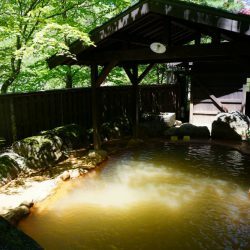 June 26th of every year is designated "open-air spa day", on which certain of the abundant open-air baths within the Okuhida-Onsengo are made open to free use. 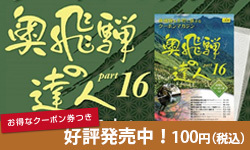 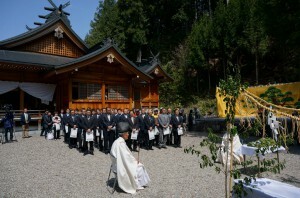 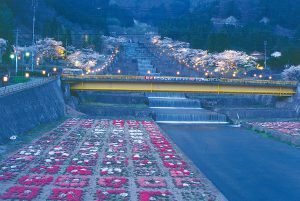 This famous event is one reason why Okuhida-Onsengo is renowned as the "Kingdom of Open-air spa". 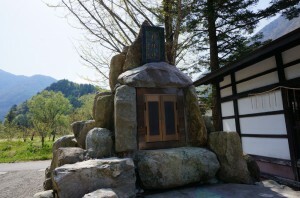 By visiting the various specified open-air baths and collecting stamps at each, you can receive an original souvenir present (One day only) .